A senior Energy Department official who served under former President Obama said Monday that he believes the Keystone XL pipeline should have been built. 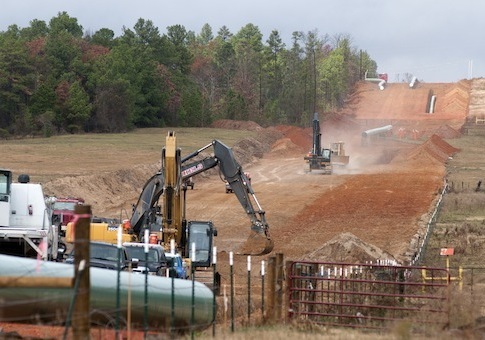 Adam Sieminski, the former administrator of the Energy Department's Energy Information Administration, told Axios on the sidelines of a Brookings Institution event that the pipeline should have been constructed. "One opinion I don't have to stifle anymore is that I think the Keystone XL pipeline should have been built," Sieminski told the news outlet. Sieminski's decision to come out in support of the pipeline may be a sign that Democrats are willing to compromise on certain liberal energy positions with Republicans controlling both chambers of congress, Axios noted. Obama rejected the construction of the Keystone pipeline in November 2015 after a lengthy battle, saying the project would undermine America's position as a global leader on climate change. President Donald Trump reversed Obama's decision by signing an executive order in January that helped advance the pipeline's construction. Last month, the Trump administration took the next step by formally approving the project, issuing developer TransCanada the necessary cross-border permit to start construction. The 1,200-mile pipeline project will ship crude oil from Canada's western oil sands region to refineries on the Gulf Coast. This entry was posted in Issues and tagged Energy Policy, Keystone XL, Obama Administration, Trump Administration. Bookmark the permalink.